We have continued to have some nice weather which is giving us the garden bug. Dustin is determined to have quite a garden this year. 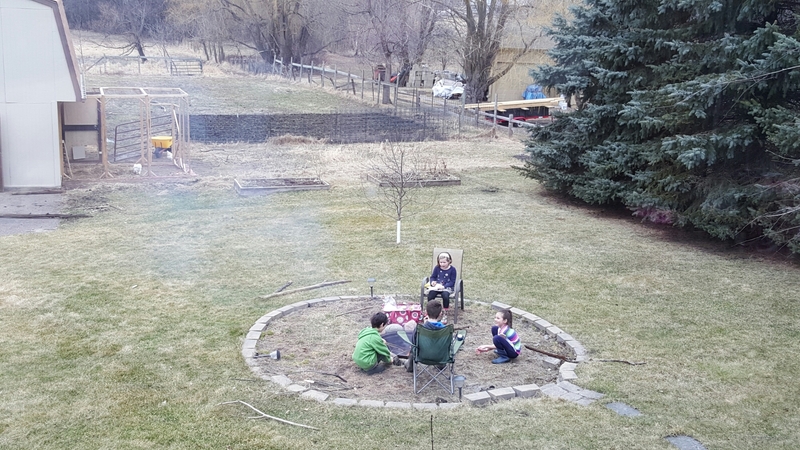 We spent the weekend to start prepping the ground. 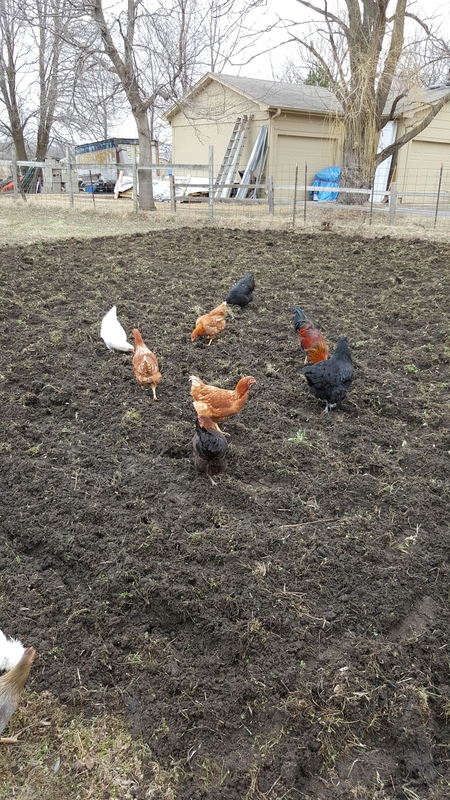 As you can see the chickens have also enjoyed the new garden, hunting down worms and bugs. 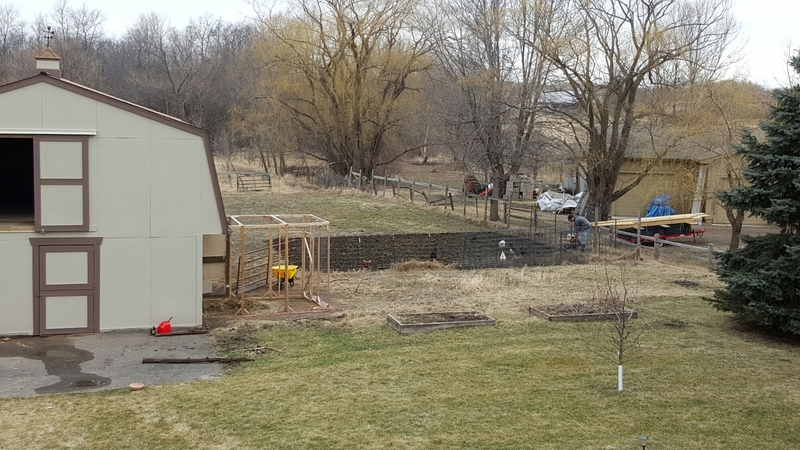 The chickens have been wandering more and more away from the barn. Now the task is the keep the chickens from digging up my lawn. 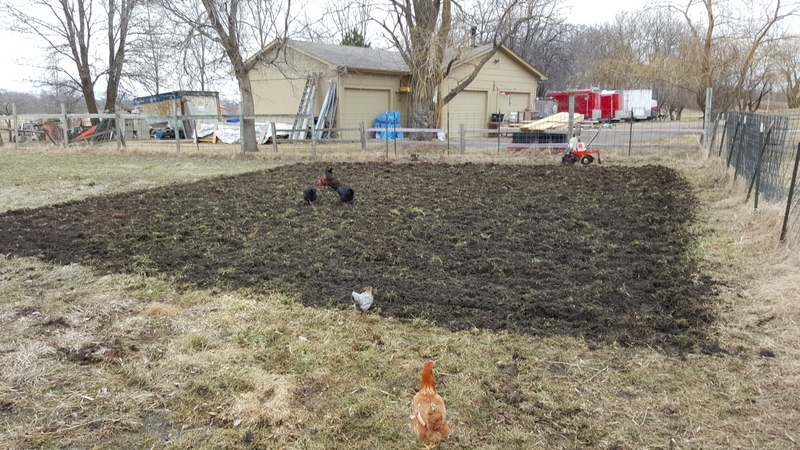 Sadie is no help, I caught her digging up the lawn to find worms and hand feed the chickens. 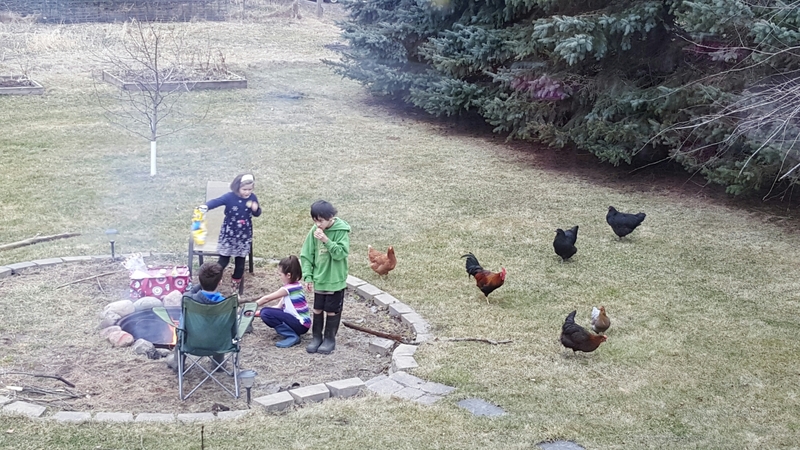 Not only have the chickens been enjoying the weather but the kids enjoyed having the cousins over for some family time.